My Graphite Birdy came out of the factory fitted with a single 53t chain ring and mated to a 9-speed Shimano Capreo cassette. You can read about my overall impressions of that setup in my Graphite Birdy Long Term Review blog post. When it comes to touring though, you'll be riding through more than just flats and the occasional slope. More often than not, you are also going to be carrying stuff with you on the bike. With that in mind, I wanted a range of gears that could cover all occasions where I'd have low enough gears to tackle the steepest climbs, and also high enough gears so I don't necessarily spin out on flats. All of this meant that I definitely needed more than just my single chain ring. A folding bike with smaller wheels will always have less gear inches compared to full sized 26-inch or 700c wheels at the top end. However, due to smaller wheels, the amount of torque (leg power) needed to go uphill is less, and thus much more forgiving when you find yourself on hilly terrain. Then there's the matter of the handlebars. The flat handlebars that come stock with the Birdy is a great all-purpose setup for most people. However, I wanted the option of having more hand positions, especially since I knew that I'd be spending long hours on the saddle. I opted to switch to drop handlebars which would allow me at least three different hand positions, to avoid numbness on longer rides. Here's the original factory setup with 18" wheels, a single 53t chain ring and Shimano Capreo 9-speed cassette. One of the things I love about the Birdy is that you can pretty much reconfigure everything with standard bike parts. Everything from the handlebars to the drivetrain can be upgraded. For touring, I decided to swap out the 18" wheels to 20" wheels for better comfort over longer distances. Another advantage of 20" wheels (ISO size 406) is that there are a lot of options for tubes and tyres which means they are easier to find, so you don't have to worry too much about finding spares while traveling. The original cassette that came with my Graphite Birdy is the 9-speed Shimano Capreo. The sprockets on this cassette are closely spaced together, making it easy for me to find the right cadence when pedaling with the high gears. This setup worked great for me and I definitely liked having the close gear spacing, but I still needed much lower gears. For guidance, I came across this wonderful article on how to select gearing for cycle touring. A touring road bike for example will typically have a triple 50/39/30t crankset that is mated to a closely spaced 12-27t cassette, giving a range of 29 to 110 gear inches. Mountain bike gearing can go lower to 22" or less. Based on that article, the low end gear range for the kind of touring I wanted to was 25 inches. Basically, touring with a loaded weight of 10kg using panniers. I used Sheldon Brown's handy gear calculator to calculate my existing gear inches, and also find out what I could possibly transition to. The original setup gave me a range of 37" to 108" which is quite similar to a 700c road bike running a compact crankset which gives 33" to 110" in comparison. Now you can see why the Birdy can really fly on flats! Change to a crankset that provides double chain rings. Since we're talking about upgrades here, I decided to treat myself to the FSA Team Issue crankset with carbon arms and 53/39 chain rings. Lightweight and stiff! Change to a cassette with a wider gear range. I chose to go with a SRAM drivetrain and went for the 11-speed SRAM Force 11-28t cassette for a nice range of gears while still being able to preserve the close gear spacing at the top end. The Birdy was equipped with Panaracer tyres which are more suited to tarmac. So I chose to stick with a road bike drivetrain as it made more sense given the setup I had. Derailleur upgrades all around. Since I switched to a new double crankset and an 11-speed cassette, it was only appropriate to also get the matching SRAM Force 22 short cage derailleur and matching SRAM Force 22 front derailleur. The short cage derailleur is able to handle up to a 28t cog at the rear. If you need an even bigger cog, the medium cage derailleur would be able to handle up to 32t. Although I lost some gear inches at the top end (it's going to be a bit harder to race against roadies), I gained quite a bit at the low end and managed to go all the way down to 25 gear inches. I may no longer be as fast on flats, but I now have a much more versatile setup that is able to handle a wider range of terrain. The Graphite Birdy upgraded for touring with drop handlebars and a new SRAM drivetrain. The new SRAM components were also much lighter in weight than the previous components, which meant a slightly lighter bike – always a plus! What was most amazing about the SRAM Force 22 setup was that I was able to engage all gears without fear of dropping the chain. I could jump to any combination of gears with minimal fuss, going from big/big to small/small and everything in between, thanks to SRAM's fancy Yaw derailleur technology. 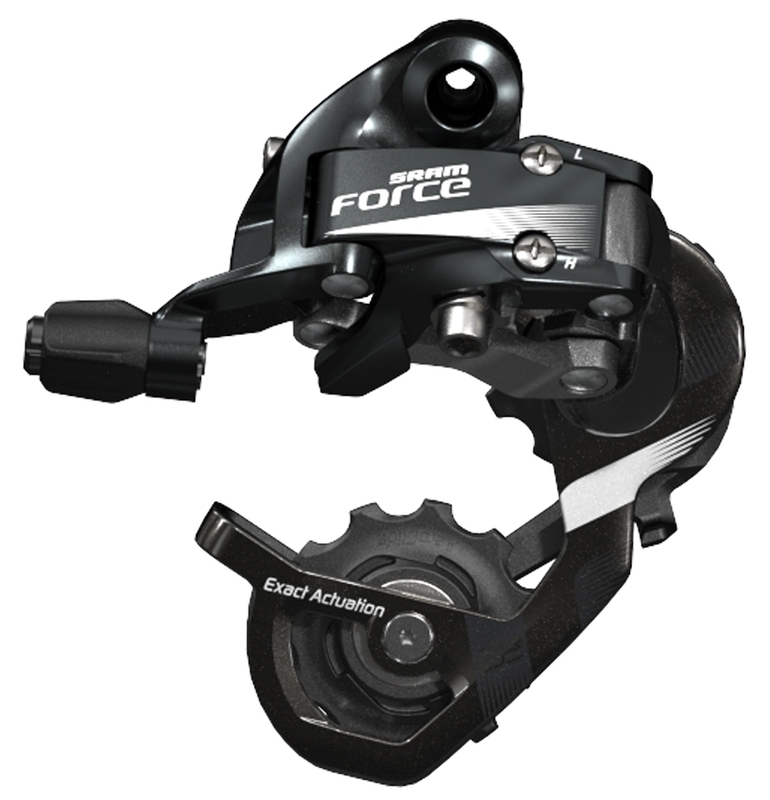 Here's a great review of the SRAM Force 22 group set on road.cc for reference. Do note though that it is always a good idea to avoid cross chaining in general to extend the life of the chain. So once I had the drivetrain all sorted out, the bike handling upgrades were quite straightforward. Handlebar replacement. I went with a Joseph Kuosac aluminum drop handlebar, measuring 42cm center-to-center to suit my dimensions. It is a compact dropbar with a reasonable reach at around 80mm and a comfortable drop of around 128mm. It weighs around 300g. SRAM Force 22 shifters. And of course it's nice to get the matching SRAM Force 22 shifters to go along with the SRAM Force 22 derailleurs. Super comfortable, nice and chunky, and simply one of the best mechanical shifters out there. The double-tap shifting mechanism gives great tactile feedback and is super simple to use once you get the hang of it. They were also compatible with my existing TRP Spyre disc brakes which was an added advantage because it meant that I did not have to replace my brakes. 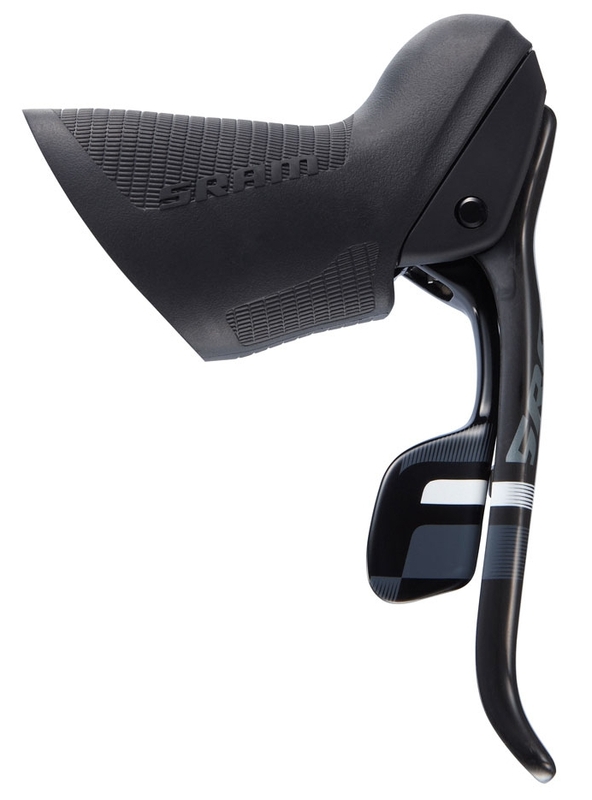 A SRAM shifter has two primary controls – the brake lever at the front, and the shift paddle behind it that controls the gears. Double-tap means you can do a ‘long swipe’ of the shift paddle, which creates a double click sound, or a ‘short swipe’, which makes a single click sound. What's really cool, is that the two controls are independent of each other. This means you can hit the brakes without accidentally triggering a shift, and vice versa. It also means you can shift while applying the brakes. The left shift paddle controls the front derailleur, allowing you to shift between chain rings. To shift into a bigger chain ring, you use a ‘long swipe’, for a double click. To shift into a smaller chain ring, you use a ‘short swipe’, for a single click. The right lever controls the rear derailleur, moving the chain between the cogs on the cassette. To move to a larger cog (a gear that is easier to pedal), you use a ‘long swipe’, giving a double click. To move to a smaller cog (a gear that provides more resistance) when trying to gain speed on flat ground, use a ‘short swipe’ for a single click. Although I had never used SRAM shifters before, let alone ride drop bar bikes in general (my past experience has always been on mountain bikes), I felt that it was fairly intuitive to learn and it didn't take me long to get used to it. I'd say give it a week to get really comfortable. With the new kit all fitted by the boys at GW Cycle Boutique, the Birdy felt and handled like a completely brand new bike. With the expanded gearing range, I was able to find all the right gears that I needed on both flats and hills. The SRAM shifters were super fast and responsive and there was never a moment where I missed a critical up shift or down shift. It inspired confidence especially when it came to tackling hilly terrain, and it also performed well under load. 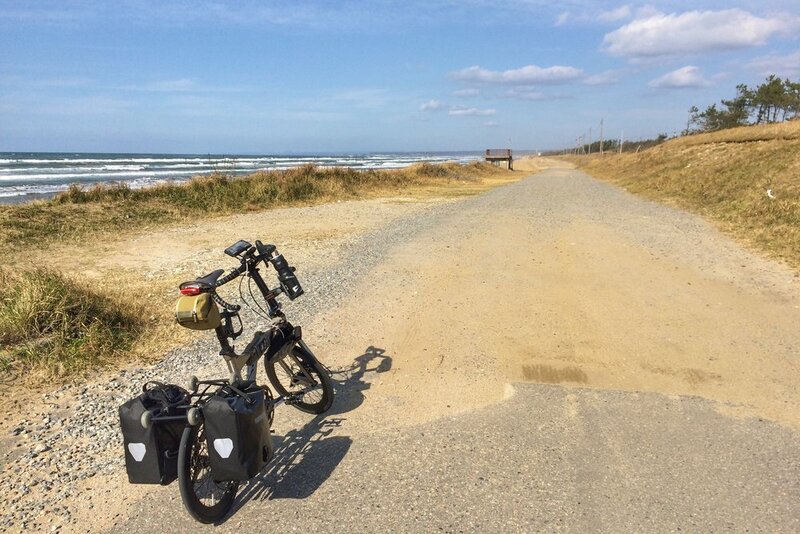 The beginning of our cycling road tour along Chirihama, Ishikawa Prefecture, Japan. The touring upgrades proved to be exactly what I needed, and it performed brilliantly when I took the Birdy to Japan. The trip took place around the Noto Peninsula where we explored the hilly coastal roads and experienced the majestic views of the Sea of Japan. The other touring essentials that I needed included the rear rack along with Ortlieb panniers. Stay tuned for my upcoming posts about the trip, where I hope to share my touring experience in more detail.